It’s time to take a fresh look at your job search and your resume. Below, I’ve detailed what I believe are going to be the top 10 resume trends for 2014. Let’s face it: social media is affecting your job search, whether you like it or not. If you’re on any social media sites, you have an online presence that an employer can find with very little effort. In fact, more than 90% of employers are using some form of social media in their quest to find new talent. So, instead of passively sitting back and going with the flow, why not take some time to direct where your job search is going by utilizing the medium that employers are using right now to find new employees? Create a social media resume. There are plenty of sites you can use to do this. 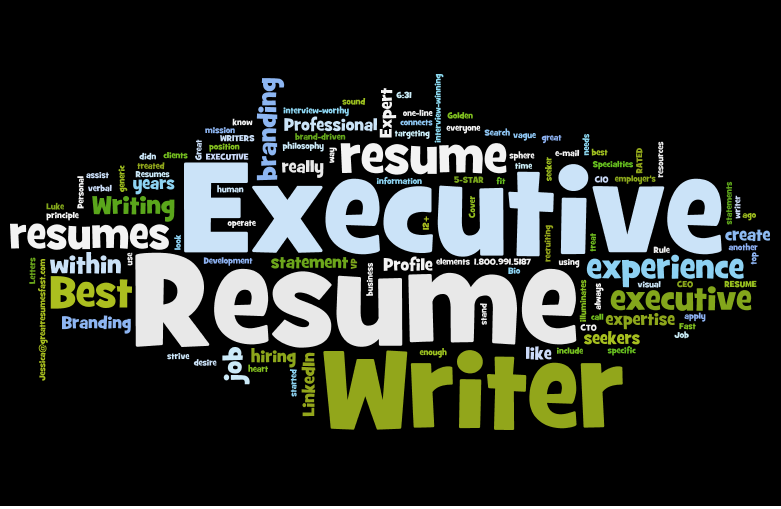 Here are some: careercloud.com, resumesocial.com, visualcv.com, and the list goes on. When you’re looking for a way to build, authenticate, and deliver your professional brand, this is one impressive and modern way to do it. Are you a do-it-yourselfer? If so, check out this step-by-step method for creating your own social media resume. I admit, I am completely in awe of the infographic resume—and I think it’s probably my favorite new resume trend. Although the concept has been around for a couple of years, it hasn’t been widely used by job search candidates. I, however, think it could be an interesting and compelling way to stand out from the competition. I’m not sure if it’s because I am essentially a visually-oriented person, but I think that, in the right context and the right industry, this type of resume is very successful. Your resume on Facebook? Maybe! The other day, while conducting some research on resume tips for 2014, I came across an interesting article that lists ten trendsetting ways to create a resume. I figured I’d let you read the article yourself so you can see all ten. Here's the article. One of the more interesting is #10—the ability to create a timeline resume within Facebook. I checked out the example from the article, and I can see where it could be interesting, help add to your professional brand, direct what hiring managers see about you, and also position you as a subject matter expert. Replace the traditional resume though? Not likely. I think I’d be remiss here if I didn’t mention the video resume. Although it’s not a replacement for the traditional resume, it can complement it. A video resume is essentially another avenue you can use to showcase your achievements and career successes. The benefit to employers is they get to learn more about you and see how you present yourself. Multiple sites offer you the ability to upload a video resume—visualcv.com, careerbuilder.com, sparkhire.com, jobster.com—or you can include it on your own blog or professional website. Job seekers are getting wise to the fact that resume templates and worn-out terms and phrases are a thing of the past. Smart job seekers know that to stand out from their competition they’re going to have to present a straightforward, polished resume that cuts the fluff (like “team player” and “excellent communication skills”) and gets real about who they are and the value they bring to the company. Colorful and visually appealing? Yes, please! What better way to show your accomplishments than in color, especially if you include easily digestible charts and graphs? Long gone are the days of text-only resumes. Get creative with visual ways to showcase your accomplishments—and make all that content easier to understand. Charts and graphs have been used most widely by sales professionals to showcase revenue and profit margins, but the technique is applicable to many different industries and positions. When you’re looking for a way to substantiate your brand and lend credibility to your successes, a quotation from a former supervisor or client may be just what you need. The perfect quote can validate your credentials, success, and the value and benefit you bring with you to the new company. I think of LinkedIn and the resume as almost interchangeable. The employer will view your resume, then check you out on LinkedIn; or they’ll find you on LinkedIn, and then want to see your resume. The employer will want more information about you—not just a copy-and-paste of your resume; so start doing your research, and put some time and effort into optimizing your LinkedIn profile and making the content engaging and different from what you have on your resume. Additionally, make it easy for them to locate your profile; put your custom LinkedIn profile URL on your resume so the employer can link to it directly from your resume. Then, you never have to worry about them viewing the wrong person because they’ll go straight to your profile. Just because it’s a “summary” of your career history doesn’t mean that the 3-5 lines at the beginning of your resume have to be a bland overview of your career. Who says you can’t make it compelling and specific to you? Use numbers, company names, and figures. Use information unique to you to create more depth and impact in your career summary. Include well-known companies or clients, name projects and how many, or stipulate the size of the budget you managed. Use those numbers, and quantify them in your summary to create impact and distinctiveness. Cut the content to the lowest common denominator. Make your words work for you—and deliver the most bang for your buck. In other words, cut out the “team player," “excellent communication/written skills," and all those other overused terms and phrases that find their way into so many resumes. Here’s a link with an example of ten words I’m referring to.